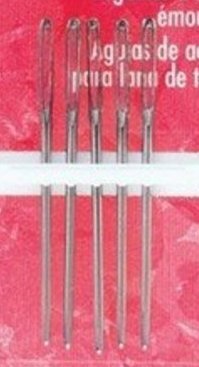 The blunt tips and oversized eyes make these needles perfect for joining knitted and crocheted fabrics. Specifically designed to work with yarn. The blunt tips and over-sized eyes make them perfect for joining knitted and crocheted fabrics. This package contains five needles.